Read this carefully and you will probably earn 30%-50% more on your next payday. 70% of all contracts signed by foreign English teachers are illegal and never in favor of the teacher. 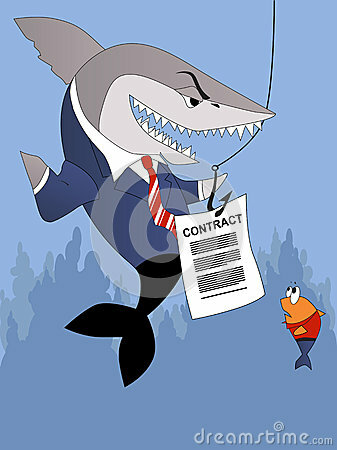 YOU CAN BREAK THOSE CONTRACTS WITHOUT PENALTY TODAY! First of all you need to know that Chinese labor law includes foreigners and it is ILLEGAL IN CHINA for third parties to sign employment contracts with employees. As an employee in China, the only contract that legally binds you is one that you sign with your direct actual employer (i.e. Shandong University). A recruiter or China job agent is not allowed to sign an "employment agreement" with you. They can, however, try to get you to sign one and most newbies do not know any better and follow their instructions. This allows the recruiter or agent to skim your wages - as much as 50% and you would never know. NEVER ever sign a contract that is given to you on the spot. Take it home and read it thoroughly and ask a Chinese friend if the Chinese terms exactly match those in English. Of course, you should never sign a contract that is only in Chinese, and it is important that you only sign a contract that you agree with. If something is vague and unclear it was done so deliberately so your employer can take advantage of you and then simply say that YOU "misunderstood". Where you work exactly and your exact job description must be included in the contract or you may find yourself working at many locations in one week spending half of your daily life on buses and subways! Every single page of your contract needs to bear your signature and date, and chop (seal)of your employer as many are known to swap out complete pages of your contract and they only ask you to sign the last page. Before you know it, you will be asked to hand out brochures about the school on a street corner and they will remind you that it is in the contract that you signed! Don't assume that you will automatically be given a copy of your contract - you must demand AN ORIGINAL HARD COPY WITH THE RED SEAL and complete Chinese name of the person who signed it and the SAIC business license number of the company who is hiring you.. So now after reading this, you suddenly realize you were snookered. What to do? Relax.You simply break the contract and request a new one in a way where the management will not argue with you. For these instructions, just visit http://www.chinaforeignteachersunion.com and look at the top of the page for the link that will rescue you in less than a week and give yourself a raise. It would also be a good idea if you also clicked on the link that explains your 15 employee rights.